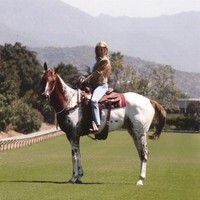 "Growing up in the wild western Malibu mountains, Liza learned to ride ponies and play music at an early age. In school she studied clarinet and other wind instruments...."
It is a fascinating story in which Liza's commitment and resultant success as a jockey, combined with some fortuitous circumstances, led to her recording her first album. Liza's first album certainly caught my attention, with its catchy melodies and themes based on Liza's life experiences. 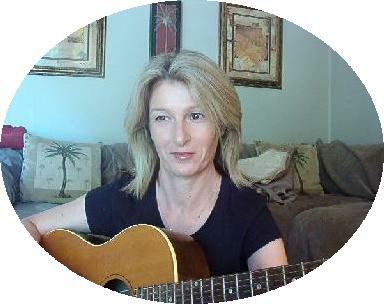 "When I Say Blue" for example, is a beautiful song, described by Nancy Heffernan, classical bassist from Dallas TX in the following words... "This is a lovely, pure, simple song". It is a moving song rich in emotion in slow time. However, Liza is able to move easily to expression of feelings in a more lighthearted way, such as the catchy song "(911) Emergency)".